KCAP Architects&Planners, in a team of international experts, was chosen from 4 international entries as the winning proposal in the architectural competition for a new RER E – Eole – station in Nanterre, France. The Réseau Express Régional is a fast regional train network of the Paris Agglomeration. The new station will be part of the Line E connecting Paris with the West of the region. 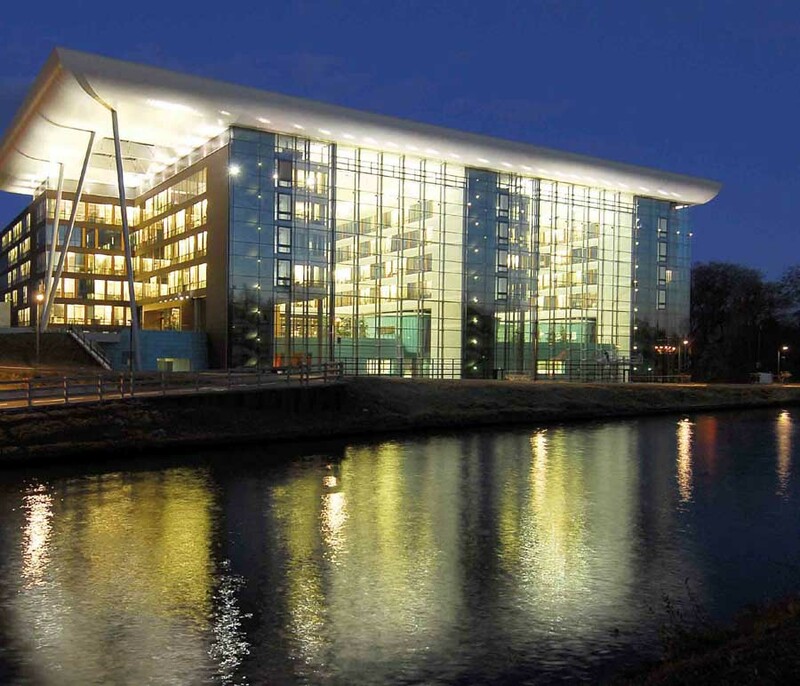 The program includes the design of a train station, a 14.000 m² office building and four bridges, one of which a pedestrian bridge. The completion of the station is estimated in 2020. 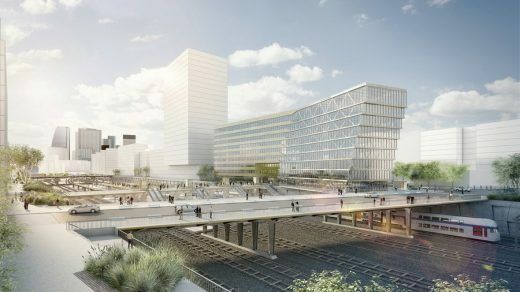 The new station is planned on a rail area adjacent to the former industrial site ‘Les Groues’ which will be transformed into a lively urban district with space for living and working until approximately 2025. 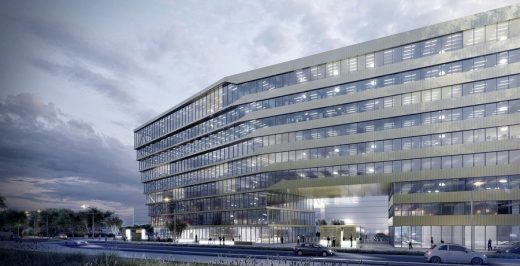 ‘The new station is the first step in the development of Les Groues. 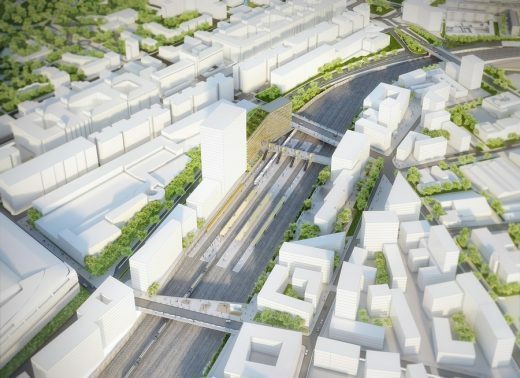 The bridges connect the area with the city and the station allows to significantly improve public transport to Paris and the West,’ says Xavier Blaringhem, responsible for French projects at KCAP Zurich. Station RER E Nanterre is one of three newly planned stations of the 47 km extension in Western direction between Paris and Mantes, expected to be used by 600.000 to 700.000 people per day. The proposal named ‘Twist’ is composed of a station and an office building which reacts to its urban context in various ways: with a slight bend it follows the Boulevard de La Défense and the Terrasses de Nanterre. With this twist the volume opens up the street space to create a square. The station hall is a cut-out of the office building and acts like a big window with a framed view of the city. The aluminum facade of the building reveals a maximum transparency and the bridges are designed as light as possible, to emphasize the focus on the skyline of La Défense. 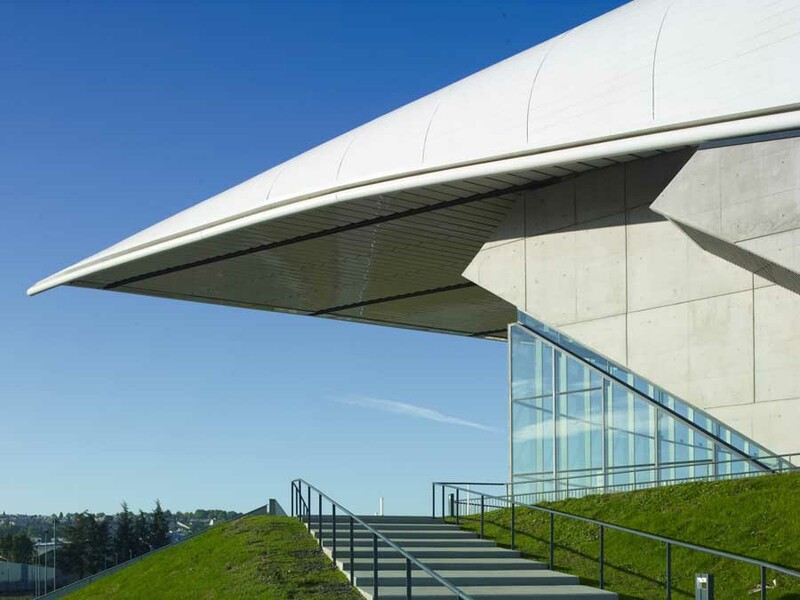 KCAP worked together with ARCADIS (engineering and team lead), Explorations Architectures (bridge design and infrastructure), D’ici là (landscape), Franck Boutté Consultants (sustainability) and Mazet et associés (cost advisors).